In a statement Wednesday morning, Tommy Vietor, the spokesman for the U.S. National Security Council, said the president “misspoke” during his presentation of a posthumous Medal of Freedom a day earlier to Jan Karski, a Polish resistance fighter who was among the first to report German atrocities in his country. President Obama celebrated the values of communities petitioning government at a White House reception honoring Jewish American Heritage Month. Obama focused a large portion of his remarks on the 150th anniversary of an order that was issued by Gen. Ulysses Grant expelling Jews “as a class” from the military department of Tennessee. “It was wrong. Even if it was 1862, even if official acts of anti-Semitism were all too common around the world, it was wrong and indicative of an ugly strain of thought,” Obama said. Obama described how a Jewish merchant from Kentucky met with President Abraham Lincoln and, following the meeting, the order was revoked. The order by Lincoln to revoke Grant’s order was on display during the reception, as were letters from two Jewish groups asking for the revocation. Years later as president, Grant said that he recognized his mistake and apologized for the order. Also on display was a receipt for his contribution to the Adas Israel congregation, which still exists, after attending an 1876 service. THE PRESIDENT: Thank you! (Applause.) Well, welcome to the White House, everybody. I hope you’re having fun. Excellent. I want to recognize Ambassador Michael Oren, and thank him for his work representing our great friend, the state of Israel. I want to recognize and thank all the members of Congress and the members of my administration who are here today. I want to thank our musical guests, Rak Shalom. (Applause.) I was just meeting with all of them back there — they said they did quite a few numbers. And they were outstanding, I know. This year, we celebrate Jewish Heritage Month — Jewish American Heritage Month, and we’re also commemorating an important anniversary. One hundred-fifty years ago, General Ulysses Grant issued an order –- known as General Orders Number 11 –- that would have expelled Jews, “as a class,” from what was then known as the military department of the Tennessee. It was wrong. Even if it was 1862, even if official acts of anti-Semitism were all too common around the world, it was wrong and indicative of an ugly strain of thought. The so-called “kishkes issue” — what does President Obama, deep down, really feel about Israel — is now being addressed at the highest level by Obama himself. Obama dropped in on a White House meeting Tuesday of lay and rabbinical leaders of the Conservative Judaism and Jack Lew, the president’s chief of staff. During his 20 minutes at the hourlong meeting, Obama emphasized his affection for Judaism and Israel, and like Vice President Joe Biden last week in a similar meeting with organizational leaders, his frustration with perceptions that he is cool toward the Jewish state. The tone, coupled with blitzes of Jewish communities by Democratic leaders in recent months, reinforces the impression that the party’s leadership is unsettled by Republican inroads into what for decades has been a Democratic base constituency. A group of leaders from the Conservative movement held an informal meeting Tuesday with President Obama. Obama dropped by a scheduled meeting with White House Chief of Staff Jack Lew and thanked the 17 rabbis and lay leaders for their work to improve their communities. The president stated his strong commitment to Israel’s security and discussed his actions to enhance security cooperation between the U.S. and Israel, as well as implement biting sanctions against Iran, according to a White House official. Participants said they asked Obama questions about the social net, health care, the relationship with Israel, the threat from Iran, and Obama’s views on Jusaism and Israel. The hour-long meeting with Lew in the White House’s Roosevelt Room was arranged by Rabbi Jack Moline, the rabbi of Agudas Achim synagogue in Alexandria, Va. and the director of public policy for the movement’s Rabbinical Assembly. Moline has close ties with the Obama administration. 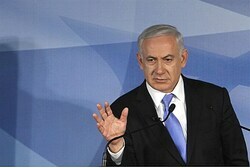 Israeli Prime Minister Benjamin Netanyahu condemned the “the ongoing massacre” of civilians in Syria. In a statement released Sunday evening, Netanyahu addressed the massacre over the weekend in the Syrian village of Houla that left an estimated 108 civilians dead, including at least 30 children. Talks between world powers and Iran on its nuclear program ended with Iran reportedly reluctant to advance without sanctions concessions. The talks conducted on Wednesday and Thursday in Baghdad between Iran and Russia, the United States, China, Britain France and Germany ended inconclusively, multiple media reports said, because Iran wanted a hold on major European oil sanctions set to kick in July 1 in exchange for staying at the table. Western powers have emphasized that sanctions would remain in place until Iran provably made its program more transparent and suspended some enrichment of uranium — a key demand of Israel, which has expressed concern that Iran is buying time with the talks. The next round of talks will be held in Moscow, June 17-19. Netanyahu orders the coalition to shelve Ketzaleh’s bill to legalize the Ulpana neighborhood and tells Barak to postpone expulsion plans. 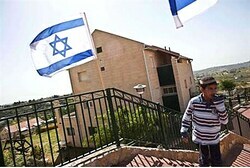 Prime Minister Binyamin Netanyahu has ordered the coalition to block National Union Knesset Member Yaakov (Ketzaleh) Katz’s bill to compensate potential expulsion victims at Beit El’s Ulpana neighborhood and also told Defense Minister Ehud Barak to postpone demolition plans. The Prime Minister wants two weeks to solve the dilemma. A court order for expulsions and demolitions of the five Ulpana apartment buildings is hanging over the heads of approximately two dozen families, some of whom have been living in the neighborhood for 10 years. There was no question of their legal presence until the High Court agreed with a left-wing organization petition that the land is owned by a Palestinian Authority Arab different from his cousin of the same name who sold the property – claiming ownership – to Beit El. The government authorized the residents to move into their homes, which they argue were legally bought in good faith, but the High Court rejected their claim. Prime Minister Netanyahu told coalition leader Ze’ev Elkin to work against advancing the bill proposed by MK Katz – whose party does not sit in the coalition – so that the government can find an alternative solution in two weeks. Barak has said he opposes the proposed law because it would scuttle a standing court order and would give ammunition to the international anti-Israel movement. “In an advanced democratic country, there is no possibility of passing legislation that cancels a standing court order. Beit El is a large and important community that in the future will remain a part of the State of Israel in any future arrangement [with the Palestinian Authority). We must find a solution to carry out the court order while strengthening Beit El,” he said. The implication is that Barak would agree to additional housing units in Beit El in exchange for carrying out the demolitions and expulsions. He has blocked thousands of homes from being built for Jews in Judea and Samaria by not signing authorization forms. As Defense Minister, he must sign each building permit for the Jewish communities in Judea and Samaria as they are subject to the IDF civil administration. As the world powers sat with Iran in Baghdad Wednesday afternoon to discuss Tehran’s nuclear program, Prime Minister Binyamin Netanyahu sat in the courtyard of his official residence in Jerusalem and discussed the Book of Ruth with 16 rabbis, biblical scholars, archeologists and Hebrew language experts. “The Bible is always relevant, whether in dealing with the problems and challenges of the day, or the problems and challenges of the period,” Netanyahu said at the start of the study group, re-establishing a tradition David Ben-Gurion established when he was prime minister, and Menachem Begin continued when he served in that office. The study group, established in honor of Sara Netanyahu’s late father Shmuel Ben-Artzi, a renowned Bible educator, will be held periodically at the Prime Minister’s residence. ראש הממשלה בנימין נתניהו חנך הערב במעונו הרשמי את חוג התנ”ך של ראש הממשלה על שמו של שמואל בן ארצי ז”ל, אביה של הגברת שרה נתניהו שמשתתפת גם כן בחוג, שהיה מורה לתנ”ך וחוקר תנ”ך, אשר נפטר לפני כחצי שנה. חוג התנ”ך מחדש מסורת שנוסדה ע”י ראש הממשלה הראשון של ישראל דוד בן-גוריון ז”ל ונמשכה על ידי ראש הממשלה מנחם בגין ז”ל. בפתח השיעור הראשון של חוג התנ”ך המחודש, אמר ראש הממשלה נתניהו: “בן-גוריון ובגין האמינו שהתנ”ך צריך להיות נחלת העם כולו – חילונים ודתיים, צעירים ומבוגרים, גברים ונשים, כל העם. התנ”ך הוא מסד הקיום שלנו, התנ”ך מאחד את עם ישראל, איחד אותו במהלך הדורות והוא גם משמש לנו בעצם לא רק את המסד אלא גם את המפה והמצפן. התנ”ך תמיד רלוונטי, בין אם לבעיות ואתגרי היום או לבעיות ואתגרי התקופה, הוא נוסך המון כוח, זהו מעיין חיים של עמנו ואני חושב שחשוב שנרחיב את לימוד התנ”ך ואהבת התנ”ך בקרב כל חלקי העם. זוהי גם המטרה של החוג הזה. אני בטוח שבאמצעות החוקרים והמלומדים והרבנים והגברים והנשים שנמצאים כאן שבקיאים בתנ”ך ואוהבים את התנ”ך, אני בטוח שאנחנו נעשיר את הידע המשותף שלנו”. חוג התנ”ך מתקיים בבית ראש הממשלה בשיתוף מרכז מורשת בגין. השיעור המלא, שהוקדש לחג השבועות, יעלה לערוץ היוטיוב ודף הפייסבוק של משרד ראש הממשלה. Prime Minister Benjamin Netanyahu inaugurated this evening at his official residence the Bible Department of the Prime Minister in honor of the late Shmuel Ben-Artzi, father of Mrs. Sara Netanyahu who also participated in the Department, who teaches Bible and biblical scholar, and who died six months ago year. Bible Club re-established tradition by the first Prime Minister of Israel David Ben – Gurion late and continued by Prime Minister Menachem Begin. The first lesson at the entrance of the renovated Bible class, said the Prime Minister said: “Ben – Gurion and Menachem Begin believed that the Bible should be a thing of the whole people – secular and religious, young and old, men and women, all people. Bible is our foundation of existence, Bible from the people of Israel, joined him over the centuries and is also used by us to actually not only the foundation but also the map and compass. Bible is always relevant, whether the problems and challenges of today or the problems and challenges of the period, he pours a lot of power, it is spring life of our people and I think it’s important we come to Bible study and love of the Bible among all sectors of the nation. This is also the target of this department. I’m sure that by the researchers and scholars and rabbis, and the men and women here who are experts in the Bible and love the Bible, I’m sure we Nashir our common knowledge “. Bible class is held in cooperation with Prime Minister Menachem Begin Heritage Center. Full class was devoted to the holiday of Shavuot, will be posted on the YouTube Channel & Facebook page of the Prime Minister. “Iran wants to destroy Israel, and it is developing nuclear weapons to fulfill that goal.” — Israeli Prime Minister Benjamin Netanyahu reminding world powers they need to be tough after the chief of the U.N. nuclear watchdog said Tuesday that the agency had reached a deal with Iran that would allow it to resume a long-stalled search for evidence that Iran worked secretly to build nuclear arms. 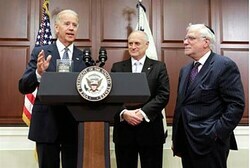 “In recent weeks, I have heard those who have cast doubt on Iran’s intentions. They said that when Iran’s leaders declare that they will wipe Israel off the map, they really mean something else in Persian. It would be interesting to hear what they think of the Iranian Chief-of-Staff’s remarks yesterday: ‘Iran is committed to the complete destruction of Israel.’ This is clear and simple. Iran’s goals are clear. It wants to annihilate Israel and is developing nuclear weapons to realize this goal. 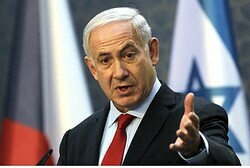 Emotional Netanyahu vows: “I know my roots. I will never give up any of Jerusalem”. Rosh yeshiva reveals letters from PM’s grandfather. The traditional Jerusalem Day celebrations at the flagship religious Zionist yeshiva, Merkaz HaRav Kook, took place on Sunday evening so as not to cause desecration of the Sabbath. This year, in addition to words of Torah about the city, dancing and joyous song led by famed clarinetist Musa Berlin and singer Akiva Margaliot, they included an historical revelation by the head of the yeshiva and an emotional declaration of loyalty to united Jerusalem by the Prime Minister himself, who vowed “I will never forget thee, O Jerusalem” and spoke of the international pressures to give in on the city with which he is confronted – receiving a loud burst of applause from the packed audience. 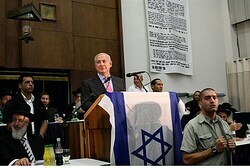 The celebrations, as always, were attended by the Chief Rabbis and the most renowned Torah luminaries in the religious Zionist world, as well as high ranking public figures including Prime Minister Binyamin Netanyahu, Knesset Speaker Reuven Rivlin, Education Minister Gideon Saar, Jerusalem Mayor Nir Barkat, MK Zevulun Orlev. Rabbi Yaakov Shapira, the head of the yeshiva, told the Prime Minister that he has found a letter of gratitude sent by the Prime Minister’s grandfather, Rabbinic scholar Natan Millikowsky (who changed the family name to Netanyahu) to Israel’s Chief Rabbi Avraham Yitzchak HaCohen Kook, founding head of the yeshiva, after asking him to see that justice is done to Abba Ahimeir, the Revisionist Zionist accused of murdering Labor Zionist leader Chaim Arlozorov, killed while walking with his wife on the Tel Aviv beach in 1933. Netanyahu’s own father had gone to the PM’s grandfather for help, stating that he had met with Ahimeir at Zion Square in Jerusalem shortly before the murder, so that it was physically impossible for Ahimeir to be in Tel Aviv when the assassination took place. He said that no one would listen to him, and the elderly rabbi turned to Rabbi Kook, who saw to Ahimeir’s vindication by himself, putting himself on the line (The sensational murder, which caused severe rifts in the rival Zionist movements, with Labor accusing Jabotinsky’s followers of perpetrating it, has never been solved). Rabbi Millikovsky also asked Rabbi Kook to write Ahimeir a letter of encouragement while he was imprisoned. Netanyahu, visibly affected, said that he knew the rudiments of the story from his father, for whom he sat shiva less than a month ago, but had not known of the existence of the letters. Rabbi Shapira used Torah references to remind the Prime Minister pointedly that he must have courage and show leadership, as did King Hezekiah of yore, to leave standing all Jewish construction in Eretz Yisrael, saying that Jerusalem symbolizes the entire country and that Beit El and Jerusalem are one. He reminded him that the word Ulpana means a place of learning, a clear reference to the Ulpana houses in Beit El, to Migron and other disputed communities in Judea and Samaria. He told him to follow in his late father’s way, saying that he spoke in the name of all those Jews in Judea and Samaria and the entire Jewish people.. He added, “We need to repeat these facts in the face of the lie imposed by our enemies – Mahmoud Abbas, the Palestinians and the entire Arab world. 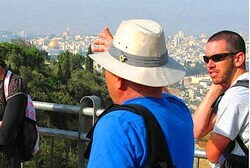 Jerusalem is the eternal capital of Israel. It has been our united capital for more than 3,000 years and it will not be divided again. “For the past three years, half a million students visit Jerusalem every year and experience it through their own eyes and feet, and today for the first time fifth graders participated in a nationwide contest on Jerusalem and its history,” noted Saar. NIr Barkat, Jerusalem’s mayor, spoke of the centrality of the yeshiva and of his plans for the development of the Holy City. ריגשתם אותי עד מאוד, ריגשת אותי עד מאוד ראש הישיבה הרב יעקב שפירא, ממשיך דרכו של רבנו האהוב אברהם שפירא, וברשות הרבנים המכובדים והדיינים וראש עיריית ירושלים ניר ברקת וחבר הכנסת זבולון אורלב, רבני הערים, ראשי הישיבות, תלמידים יקרים, חברים יקרים. אני עדיין בתוך השלושים, והמכתב, חילופי המכתבים האלה שהבאתם בפניי מעלים פרשה סוערת שהתרחשה כאן בארץ ישראל לפני כמעט שמונים שנה. באחד מהימים באותה שנה הלך אבי, שהיה אז בן 23, הוא פגש בכיכר ציון את אב”א אחימאיר חברו, השעה הייתה לפנות ערב. כעבור כשעתיים נרצח ארלוזורוב על שפת ימה של תל אביב. אחימאיר וסטבסקי, הואשמו ברצח. אבי הזדעזע כשהוא שמע את זה, כי בצלילות מחשבתו ובחדות ניתוחיו הוא קודם כל הבין שאין היתכנות מעשית להגיע מכיכר ציון לשפת ימה של תל אביב בתנאי התחבורה שהיו קיימים אז. ברוחב מחשבתו ובהבחנותיו הוא ראה גם סתירות אחרות והוא הגיע למסקנה שמדובר בעלילה, עלילה שהלכה והתגבשה מייד כשהציונות הרוויזיוניסטית, ברית הבריונים כפי שקראו לה אז, הם הם שרצחו את ארלוזורוב. אבל הוא ידע שאחד מהנאשמים העיקריים, הוא ראה אותו, הוא פגש אותו, הוא ידע שהדבר הוא בלתי אפשרי. ובסער לבו הלך אבי אל אביו, הרב נתן מליקובסקי ששינה את שמו לרב נתן נתניהו. הוא הלך אליו ואמר לו שהוא חייב ללכת אל הרב קוק ולגייסו כדי לצאת נגד עלילת הדם. סבי אז כבר לא היה בקו הבריאות, אבל הוא גייס את כוחותיו והלך אל הרב קוק, והרב קוק יצא בקול גדול נגד העלילה, ובכך, בכוח אישיותו, יושרו, אצילותו וכוח השפעתו, הוא סובב את דעת הקהל. בסופו של דבר יצא משפט צדק, וכפי שאתם רואים סבי לא הסתפק בזה, והנה באה החלפת המכתבים הזאת, שאגב לא הייתי מודע לה, אז אני מודה לכם על התוספת לארכיון המשפחתי-הלאומי שלנו. וזמן קצר לאחר מכן נפטר סבי, שהיה אדם צעיר בשנות החמישים, והרב קוק הספיד אותו. הוא ספד לו בהלוויה, והוא כתב על סבי, שהיה רב ומטיף גדול לציונות, הוא כתב: ‘מעט מאוד ראיתי בני אדם החיים בתוך החברה המודרנית שיהיו מלאים הערצה כזאת לתורה, לגדולתה, שיהיו קשורים כל כך בעומק נשמתנו בהכרה שכל עבודתנו הלאומית, הפוליטית והבניינית, הצלחתה תלויה במידה שהיא יונקת ממקור הכבוד, ממקור הכבוד של ישראל הנובע מדבר ה’ שבתורתנו הקדושה ומתוך חזון נביאי האמת וצדק, מאירי מחשכי האנושיות כולה’. ועוד הוא מוסיף על סבי: ‘הוא הרגיש את האמת הזו בכל לב, והרבה פעמים הצליח לבטא אותה בפאתוס מלא חיים ועוז’. ידידיי, כמו סבי לפניי, אין לי כל ספק באשר למקור כוחו של עמנו. הוא נובע ממורשתנו, הוא נובע מאמונתנו. אתה אמרת, הרב שפירא, שאני מתייצב בפני מנהיגי העולם, אני מציג את האמת שלנו, את האמת ללא מורא, כי אני יודע שאני מייצג לא רק את אזרחי מדינתנו ולא רק את בני עמנו. כשאני נושא דברים באו”ם או כשאני יושב בחדר הסגלגל בבית הלבן, או כשאני נפגש עם נשיאים וראשי ממשלות, אני יודע שחובתי לדבר גם בשם אומה בת 4,000 שנה. אני יודע שחובתי לדבר בשם מאה דורות של יהודים שהשתוקקו לבנות מחדש את חייהם הלאומיים על האדמה הזו. אני יודע שחובתי לדבר בשם עם שציין כל חגיגה וגם כל טרגדיה במשאלה פשוטה: לבנות מחדש את ירושלים, “לשנה הבאה בירושלים”, חלום הדורות. זוהי הבטחה קדושה שלעולם לא אזנח. לעולם. ביום הזה אנו חוגגים 45 שנים לשחרורה של ירושלים, אבל אנחנו חוגגים דבר שהוא עוצמתי פי כמה. אנחנו חוגגים 3,000 שנות היסטוריה בעיר הזאת ואלפיים שנות כיסופים. אנחנו חוגגים את התגשמות החלום הנצחי ואת מימוש החזון הנבואי. אנחנו היינו היום, לפני שעות אחדות, בגבעת התחמושת, וציינו את הקרב על שחרורה ואיחודה מחדש של ירושלים, איחוי הלב הקרוע של עמנו, ואמרתי שאני זוכר את הרטט שעבר בלבי כששמעתי את מוטה גור אומר: “הר הבית בידינו”. הלב של מי לא רטט, מי לא חשב אז, הזכרתי את דוד ושלמה, ישעיהו וירמיהו וחזקיהו, עד יהודה המכבי ורבי יהודה הלוי, והרמב”ם לפניו והרצל אחריו ועד ימינו אנו: “הר הבית בידינו”. זה לב האומה. אז כשאני שומע את אומות העולם מבקרות אותי על בנייה בירושלים, אני חושב על המלך דוד ששלט בעיר הזאת אלפי שנים כמעט לפני שכל האומות הללו קמו. אני חושב על ישעיהו שניצב על חומות ירושלים כדי להזהיר את המעצמה הגדולה של זמנו לבל תמיט רעה כלשהי על העיר. ואני יודע, יש שרואים בהיסטוריה הזו נטל גדול. הם מאמינים שכדי להבטיח את העתיד עלינו להתנתק מהעבר, הם טועים. הם טועים טעות גדולה, כי ההיסטוריה הזאת היא מקור עוצמתנו הלאומית, בלעדיה איננו יותר מאשר עלה נידף ברוח. כל אחד ואחד מכם ההולך בדרכו של הרב קוק מבין זאת היטב. אתם מבינים שניתוק אומה מעברה הוא כמו ניתוק עץ משורשיו, וזו הסיבה שאתם עמלים יום אחר יום לחזק את שורשיה של אומה זו, לגזום את ענפיה ולהרוות את אדמתה. אתם יודעים שרק כך נוכל ללמד את עמנו כיצד למצות את מלוא התקווה והפוטנציאל המצויים בו. אני רוצה שתבינו, גם אויבינו מבינים את מקור כוחנו. רק לפני שנים ספורות אמר נציג אש”ף בלבנון את הדברים הבאים: ‘אם ישראל תצא מירושלים מה יישאר מכל הדיבורים הללו על הארץ המובטחת והעם הנבחר, הרעיון הציוני יתחיל להתמוטט’. ידידיי, כל עוד אני ראש ממשלה זה לא יקרה, ולא ניתן שזה יקרה אף פעם. אחריותי כראש ממשלת ישראל היא לעשות כל שביכולתי כדי להבטיח את עתיד המדינה היהודית ועתידו של העם היהודי. ישנם אלה שמאמינים שהבטחת עתיד עמנו משמעותה חלוקת ירושלים, אבל ירושלים היא לב לבו של עמנו ולא ניתן להבטיח את עתידנו על ידי עקירת לבנו. את העתיד מבטיחים באמצעות חיזוק הלב שלנו, וזה מה שאני עושה וזה מה שאני אמשיך לעשות. אמשיך לבנות את ירושלים, אמשיך לעמוד איתן מול אומות העולם, אמשיך לומר להן שירושלים תישאר תמיד בירתה המאוחדת של מדינת ישראל ובירתו המאוחדת של עם ישראל. אני נדרש, אכן כפי שאמרת הרב, לנווט את ספינת המדינה דרך ימים גועשים ורוחות חזקות. אולם אני מבטיח לכם זאת: לעולם לא אאבד את מצפני. המצפן שירשתי מאבי ומסבי ומאבותינו. לעולם לא אתפשר על ביטחוננו ועל זהותנו למען אהדת העולם. כמו סבי לפני, לעולם לא אשכח את מקור כוחנו הלאומי, לעולם לא אשכח את ירושלים. Just days ago, I visited the Altneu Synagogue in Prague, the Maharal’s [Rabbi Judah Loew ben Bezalel] synagogue. Three months ago, I visited the Portuguese Synagogue in Amsterdam. These are two of the most remarkable synagogues in the world. One has been serving the Jewish community of the Czech Republic for nearly 800 years. The second has served the Jewish community of Holland for 350 years. One is Ashkenazi, the other Sepharadic. One is small and intimate. The other is large and magnificent. But what connects them is what connects every synagogue around the world. When Jews pray in Prague or in Amsterdam, in New York or in Moscow, in Mexico City or in Hong Kong, in Haifa or in Beer Sheva, the face the same direction our people have faced for thousands of years. They face Jerusalem. They face the place that has always been the center of our national and spiritual life, the place that reminds us of our glorious past and serves as the focus of our hopes for the future. And we will not turn our backs on those who have faced Jerusalem for generations. We will preserve Jerusalem because an Israel without Jerusalem is like a body without a heart. It was on this hill, 45 years ago, that the heart that unites our people began to beat again with full strength; and our heart will never be divided again. There are people who believe that if we just divide Jerusalem, which means eventually conceding the Temple Mount – they believe we will have peace. They believe that, but they are wrong. I am doubtful, to put it mildly, that if we grant other forces control over that square above the Temple Mount, we won’t see the situation deteriorate so quickly that will devolve into a religious and sectarian war. I also know that this is the lesson of the ages – that only under Israeli rule, under Israeli sovereignty – access and freedom of religion and freedom of worship for all religions has been and will continue to be ensured. Only under Israel. Only under Israel will the quiet be maintained; only under Israel will peace between the religions be maintained. Sustainable peace is made with strong nations, and an Israel without a unified Jerusalem will be like a body with a weak heart. I want to say something else: a nation that is willing to sacrifice its heart will only convince its enemies that it lacks the willpower to fight for anything. Forty-five years ago, this place saw our people’s determination and the iron will of our fighters. They fought like lions in these trenches, against wave after wave of machine gun and heavy fire. They fought like lions, but more than that, they fought for Jerusalem and they won. During that same fierce battle, 36 of our best men perished – and in all of Jerusalem, 182 IDF fighters died, and Jewish history changed forever. A city divided became whole – and it will remain so. Our generation has been granted a great privilege: we are witnesses to the fulfillment of the words of the prophets. We saw the resurrection of Zion; we saw the restoration of the sovereignty of the people of Israel here in the Land of Israel; we saw the ingathering of the exiles; and we saw the unification and rebuilding of Jerusalem. Our generation also bears the tremendous responsibility of ensuring that we safeguard this transformation for future generations. The prophet Isaiah said: “Wake, wake! Arise, O Jerusalem.” Well, Jerusalem has arisen. After centuries of repression and intolerance by other faiths, Jerusalem has arisen and been unified. I remember the day when Motta Gur said that the Temple Mount was in our possession. Whose heart did not tremble? Who did not think then about David and Solomon, about Isaiah and Jeremiah, about the prophesies of hope and the lamentations of destruction? Who did not feel the prayer of generations that beats within us? I felt it and so did you. And with this great power, we ushered in a transformation here that could not be imagined. What was less than a century ago a forgotten, impoverished and neglected backwater has now become a bustling, vibrant, developed and advanced metropolis, the greatest requisite of Israel – and the united capital of our nation. Jerusalem is where our past has been uncovered and our future has been built, the place where our unparalleled spiritual treasures reside, a place of world-renowned universities and museums, a place where unprecedented numbers are studying our heritage and where the genius of our people is expanding the limits of science, medicine, technology, the material sciences and the life sciences, and many other sciences. For 45 years, we have built and developed Jerusalem – North and South, East and West. We will continue to build Jerusalem. We will continue to develop our capital and we will continue to ensure that its golden light continues to light the future of our people and shine a light across the world – the light of Jerusalem. אישי, נשיא המדינה, שמעון פרס כמה טוב לראות אותך בריא ושלם ונמרץ כתמיד עמנו. ידידי יו”ר הכנסת ראובן ריבלין, נשיא בית המשפט העליון אשר גרוניס, הרב הראשי לישראל, הרב יונה מצגר, שר התחבורה ישראל כץ, חברי כנסת, ראש עיריית ירושלים, ניר ברקת, מפכ”ל משטרת ישראל רב-ניצב יוחנן דנינו, אלופי צה”ל ומפקדיו, אברהם דובדבני יו”ר הנהלת ההסתדרות הציונית העולמית, יו”ר עמותת גבעת התחמושת וההנהלה, לוחמי צה”ל, משפחות יקרות, קהל נכבד. לפני ימים אחדים ביקרתי בבית הכנסת אלטנוי שבפראג, בית הכנסת של המהר”ל. לפני שלושה חודשים, ביקרתי בבית הכנסת הפורטוגזי באמסטרדם. אלה שניים מבתי הכנסת המופלאים בעולם. האחד משרת את הקהילה היהודית בצ’כיה קרוב לשמונה מאות שנה. ואילו השני משרת את קהילת יהודי הולנד כשלוש מאות וחמישים שנה. האחד אשכנזי, השני ספרדי. האחד קטן ואינטימי. והשני גדול ומפואר. אבל מה שמחבר ביניהם הוא מה שמחבר בין כל בתי הכנסת ברחבי העולם. כשיהודים מתפללים בפראג או באמסטרדם, בניו-יורק או במוסקבה, במקסיקו סיטי או בהונג קונג, בחיפה או בבאר שבע, הם פונים לאותו כיוון שאליו פונים בני עמנו מזה אלפי שנים. הם פונים לירושלים. הם פונים למקום שמאז ומתמיד היה מרכז חיינו הלאומיים והרוחניים, המקום שמזכיר לנו את עברנו המפואר ומשמש מוקד לתקוותינו לעתיד. ואנחנו לא נפנה עורף לפונים לירושלים במהלך הדורות. אנחנו נשמור על ירושלים. כי ישראל ללא ירושלים היא כמו גוף ללא לב. ועל גבעה זו, לפני 45 שנים, חזר לפעום מחדש ובמלוא עוצמתו הלב המאוחד של עמנו, וליבנו לעולם לא יחולק שוב. ישנם אלה שמאמינים שאם רק נחלק את ירושלים, והמשמעות היא בסופו של דבר לוותר על הר הבית, הם מאמינים שיהיה לנו שלום. הם מאמינים כך, אבל הם טועים. אני מסופק בלשון המעטה, שאם נפקיד את הריבוע הזה שעל הר הבית לכוחות אחרים שלא נדרדר מהר מאוד למלחמה דתית, סקטוריאלית. ואני יודע את לקח הדורות, שרק תחת שלטון ישראל, תחת ריבונות ישראל, מובטחת ותמשיך להיות מובטחת הנגישות ויובטח החופש הדתי וחופש הפולחן לכל הדתות, רק תחת ישראל. רק תחת ישראל נשמר השקט, רק תחת ישראל נשמר השלום בין הדתות. שלום בר קיימא עושים עם אומה חזקה, וישראל בלי ירושלים המאוחדת תהיה כמו גוף עם לב חלש. אני רוצה להגיד לכם דבר נוסף אומה שמוכנה להקריב את ליבה רק תשכנע את אויביה שהיא נעדרת כוח רצון להילחם על דבר כלשהו. המקום הזה, לפני 45 שנה, ראה את נחישות עמנו, וראה את רצון הברזל של לוחמינו. הם נלחמו כאריות, ממש כאריות, פה בתעלות האלה, בגל אחר גל מול מקלעים ורובים ואש תופת, הם נלחמו כמו אריות אבל יותר מזה הם נלחמו למען ירושלים והם גברו. באותו קרב עז נפלו 36 ממיטב בחורינו – ובכל ירושלים נפלו 182 לוחמי צה”ל, וההיסטוריה היהודית השתנתה לעד. העיר המחולקת הפכה לשלמה. וכך היא תישאר. זכות גדולה נפלה בחלקו של הדור שלנו. אנחנו חוזים בהתגשמות דברי הנביאים, חזינו בתקומת ציון, חזינו בהשבת הריבונות של עם ישראל פה בארץ ישראל, חזינו בקיבוץ הגלויות וחזינו באיחודה ובנייתה מחדש של ירושלים. ועל הדור שלנו מוטלת האחריות הגדולה להבטיח את שימורו של מהפך זה גם לדורות הבאים. הנביא ישעיהו אמר: “התעוררי התעוררי, קומי ירושלים”. ובכן, ירושלים קמה. ואחרי מאות שנים של דיכוי ואי סובלנות של דתות אחרות, קמה לה ירושלים ואוחדה לה יחדיו. אני זוכר את אותו יום כשמוטה גור אמר, שהר הבית בידינו, הלב של מי לא רעד. מי לא חשב אז על דוד ושלמה, על ישעיהו ועל ירמיהו, על נבואות התקווה וקינות החורבן, מי לא חשב, מי לא להרגיש את זה. את תפילת הדורות מפעמת בתוכו, כך אני הרגשתי וכך אתם הרגשתם. ואנחנו עם הכוח העצום הזה חוללנו פה מהפך שאי אפשר היה לדמיין אותו, מה שהיה עד לפני פחות ממאה שנים, מקום שכוח אל, עני, מוזנח, הפך למטרופולין משגשג, תוסס, מתפתח ומתקדם, הכרח הגדול בישראל – ולבירתו המאוחדת של עם ישראל. ירושלים היא המקום שבו נחשף עברנו ונבנה עתידנו. מקום משכנם של אוצרות רוחניים שאין להם אח ורע, של אוניברסיטאות ומוזיאונים מן השורה הראשונה בעולם, המקום שבו יש מספר חסר תקדים של תלמידים שלומדים את מורשתנו, ושבו הגאוניות של עמנו פורצת את גבולות המדע, הרפואה, הטכנולוגיה, את מדע החומרים ומדע החיים ועוד מדעים רבים אחרים. במשך 45 שנים, בנינו ופיתחנו את ירושלים – מצפון לדרום, ממזרח למערב. ונמשיך לבנות את ירושלים. נמשיך לפתח את בירתנו, ונמשיך להבטיח שאורה הזהוב ימשיך להאיר את עתיד עמנו ויפיץ אור יקרות לעולם כולו, אורה של ירושלים. “Obviously, nothing would be better than to see this issue resolved diplomatically. But I have seen no evidence that Iran is serious about stopping its nuclear weapons program. It looks as though they see these talks as another opportunity to deceive and delay just like North Korea did for years. They may try to go from meeting to meeting with empty promises. They may agree to something in principle but not implement it. They might even agree to implement something that does not materially derail their nuclear weapons program. Freeze all enrichment inside Iran. Remove all enriched material outside of Iran.